The 2018 raffle is over. Thank you to all that participated. The 2019 raffle hasn't started yet. WINNERS! The 2018 Raffle is over & the winners have been drawn. Congratulations & thanks to everyone that helped make this years raffle a success. 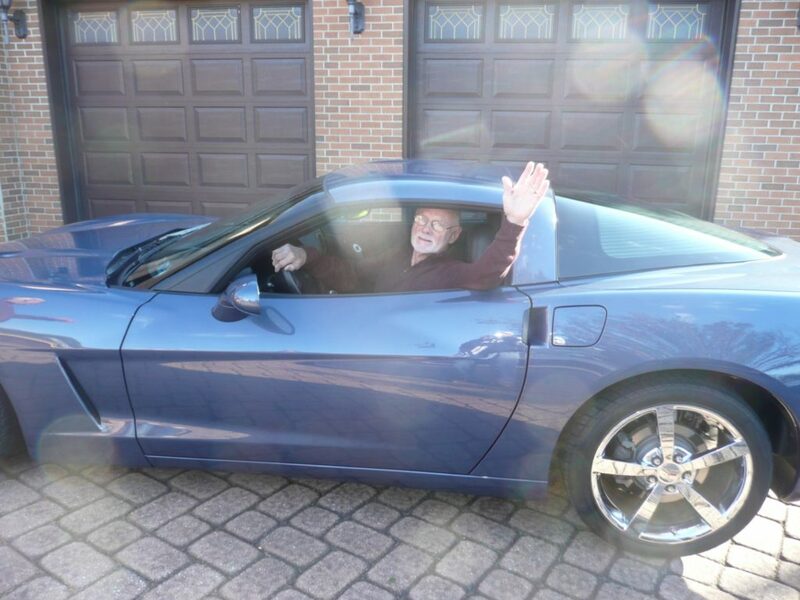 Here are a few photos Ralph receiving his 2011 Corvette. As soon as we have information about the 2019 raffle, I'll be sure to post an update. This year's raffle is over. 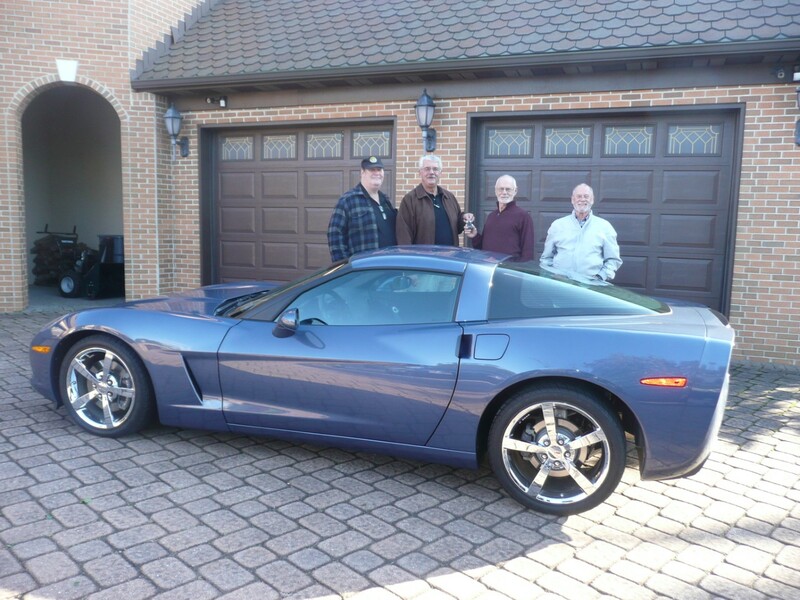 The 2011 Supersonic Blue C6 Corvette Coupe went to Ralph Holland of Jenkintown PA. Click through for details and photos. Here you will find photos from the current and previous raffles. Here you'll find the details and results of all the previous raffles. Bob Weiss, president of the Corvette Enthusiasts Community Foundation, right, presents a check to Kate Sample, president of the Sunshine Foundation, to fulfill the dreams of children with chronic illnesses or physical disabilities. 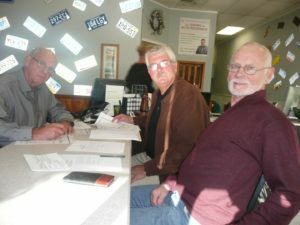 The foundation recently announced its 2017 grants totaling $20,000 during a meeting of the Corvette Club of Delaware Valley at the Benjamin H. Wilson Senior Activity Center in Warminster. 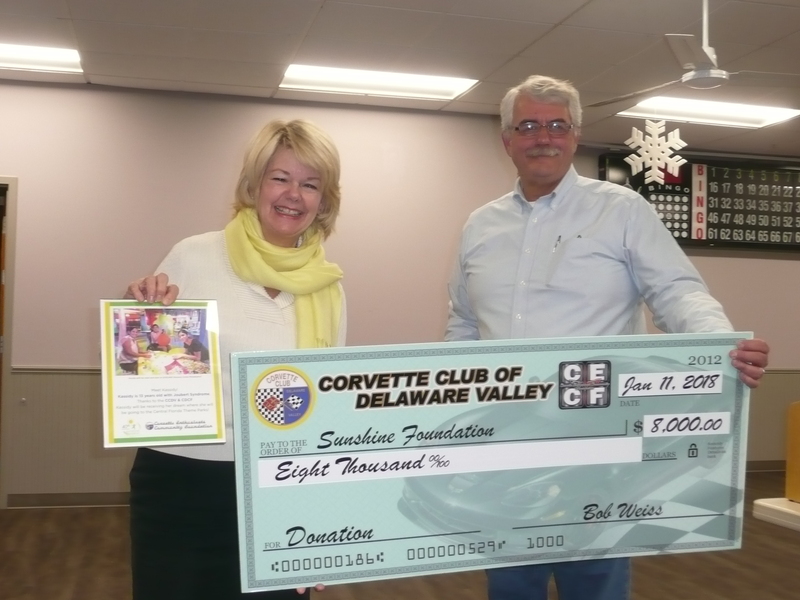 Members of the Corvette Club of Delaware Valley and the board of the CECF work each year to raise funds to support worthy local nonprofit organizations that improve the lives of many local families throughout Bucks and Montgomery counties. Other programs receiving grants include Access Services Inc. in Fort Washington for its Youth Outdoor Expedition Camp and the Juvenile Diabetes Foundation. The raffle Vette can be seen & tickets purchased at the following car shows. 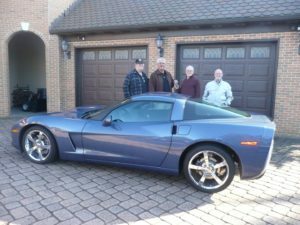 The Corvette Enthusiasts Community Foundation is a charitable organization that grew out of the Corvette Club of Delaware Valley. For decades the CCDV has been holding the Cavalcade of Corvettes and donating the proceeds to the Sunshine Foundation and Juvenile Diabetes. As the club grew, so did the donations. 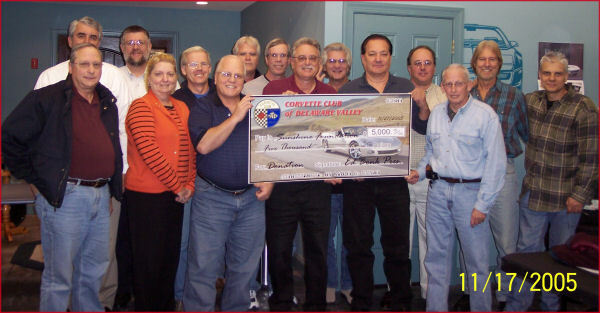 In 1994 when the club decided to raffle off a Corvette for charity, the CECF was created. We've given away a Corvette every year since (23 and counting) then and donated the proceeds to various public charities and less fortunate individuals in our community. Since it was founded the CECF has raised over $500,000 for charity. CECF is a registered charitable organization in the state of Pennsylvania and is authorized to receive tax deductible contributions by the Internal Revenue Service. Remember, the cost of your ticket is considered a tax deductible contribution! We are proud of what we have accomplished thus far and hope we can do even more in the future, so please help us succeed by supporting the corvette raffle.